After receiving his B.S. 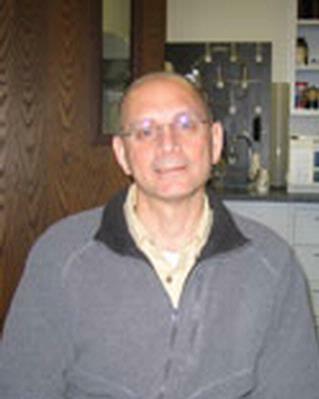 in Psychology from the University of Illinois, Dr. Welle obtained a Ph.D. in Neurobiology from Northern Illinois University. Dr. Welle's research deals with regulation of muscle protein metabolism and gene expression, and how these are affected by aging and by endogenous growth factors. He also collaborates with faculty in the neuromuscular research group (neurology department) to study the effects of muscular dystrophies on gene expression. Finally, Dr. Welle plays a critical role in running many of the core facilities at the University of Rochester, serving as Director of the Functional Genomics Center and the CRC Core laboratory. O'Reilly MA, Yee M, Buczynski BW, Vitiello PF, Keng PC, Welle SL, Finkelstein N, Dean DA, Lawrence BP. "Neonatal oxygen increases sensitivity to influenza A virus infection in adult mice by suppressing epithelial expression of Ear1." The American journal of pathology.. 2012 Aug 0; 181(2):441-51. Epub 2012 Jun 05. Henn AD, Laski M, Yang H, Welle S, Qiu X, Miao H, Barry CT, Wu H, Zand MS. "Functionally Distinct Subpopulations of CpG-Activated Memory B Cells." Scientific reports.. 2012 2:345. Epub 2012 Mar 30. Welle S, Mehta S, Burgess K. "Effect of postdevelopmental myostatin depletion on myofibrillar protein metabolism." American journal of physiology. Endocrinology and metabolism.. 2011 Jun 0; 300(6):E993-E1001. Epub 2011 Mar 15.